Anecdote: The old official record was from 2008: 34.5 kilos (76 pounds). 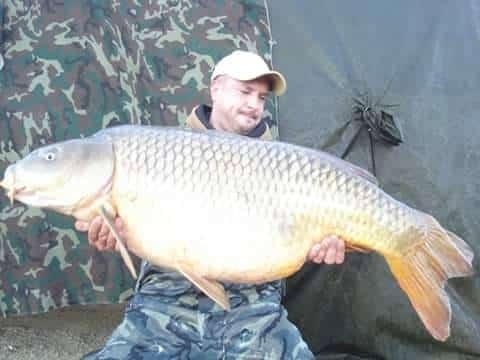 By 2013 a carp of 35 kilos would have been captured. David Aldana fished Mequinenza for 10 days. It is at the end of the 8th day that it captures this magnificent commune of 40.2 kilos. During his session, David took 6 other carps: 12 kgs, 15 kgs, 16 kgs, 18 kgs, 21 kgs and 24 kgs.